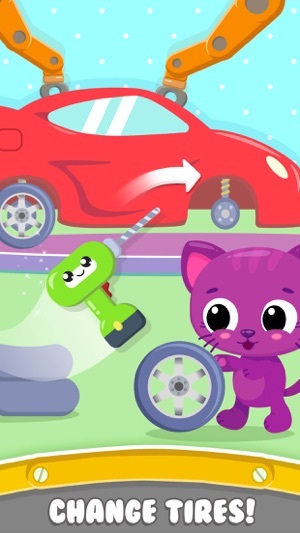 Welcome to your kid’s first Cute & Tiny Car Repair Shop! 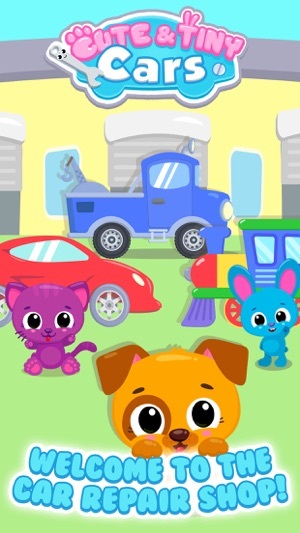 Meet three adorable fluffy friends - kitten Sue, puppy Bu and bunny Blu - and help them take care of their cars! 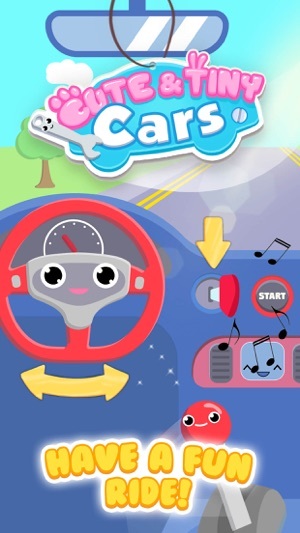 Play Cute & Tiny Cars and train your attention, develop fine motor skills and learn to match shapes! Puppy Bu has a big blue truck. 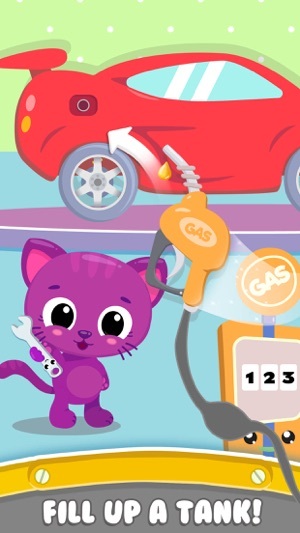 Kitten Sue drives a fancy red sports car. 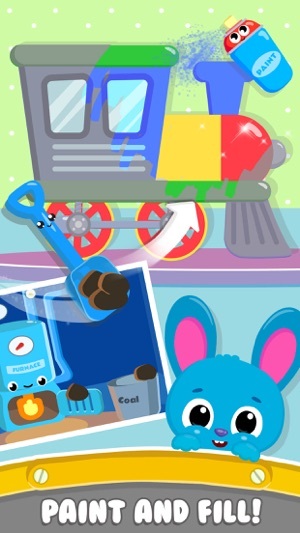 And bunny Blu owns a colorful train. The cars are so different but just as cute as their owners! But sometimes cars need a little help! Spray a car with cleaning liquid - cover it in bubbles! Clean it with a funny sponge and spray paint for a refreshed look! It’s all nice and shiny now! Time to change and fix the wheels and fuel the car. 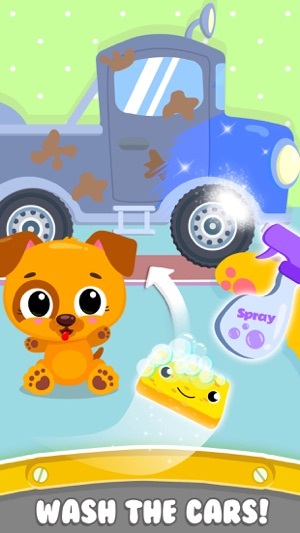 Have a safe ride with your fluffy pet friends! 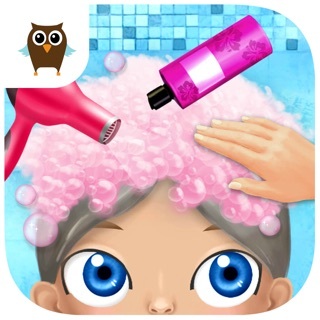 Cute and simple graphics. Easy, kid-friendly interface. 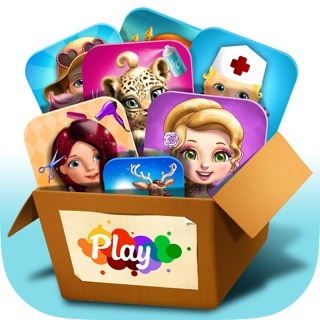 Safe environment for playing and learning. Suitable for toddlers and younger kids.